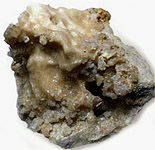 Calcite CaCO3 - one of the most widespread minerals on sew on to the planet, basis of limestone (Greek kals is a lime), swept marble. 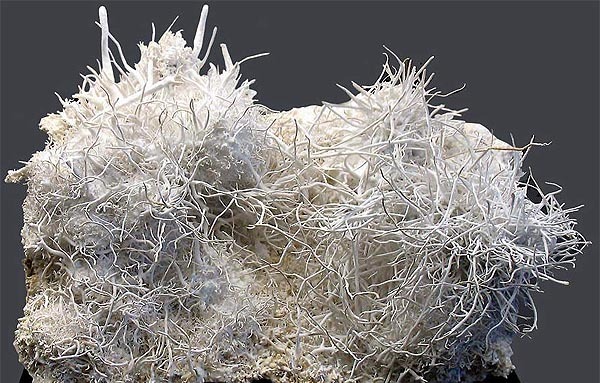 Calcite soft, it enters in the complement of corals, which the Large Barrier reef, protecting the east coast of Australia from destructive force of ocean waves, consists of. 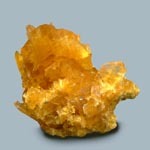 At the same time Calcite at times forms crystals a form of which is very various. 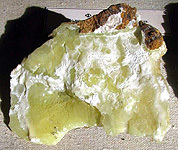 The color of Calcite varies from honey-yellow, orange, raspberry and gently-rose to purple, brown, blue and even green. 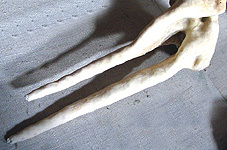 It be found white, grey, pink, rose, blue, yellow, gold, green and even black (a color depends on admixtures). Fine-grained Cinnabar, Vermilion, Spanish Red does Calcite blood-red. Green, blue and dark blue colouring the admixtures of carbonates of copper are given Calcite. Strikes of many faces Calcite. 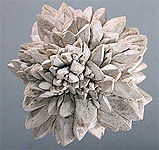 Crystals of him by appearance are both parallelepipeds, both pyramids or marbles, or as paper folias, petals of flowers. 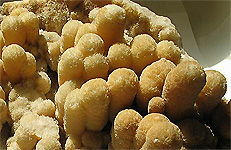 The platy crystals of Calcite form Druses and joint, junction, reminding roses. 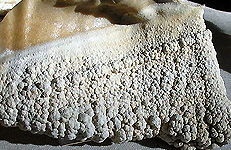 Calcite creates wandering forms in caves: stalactites, stalagmites and branchy educations as corals - gelectites. 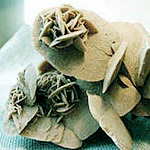 The transparent variety of Calcite (the optical Calcite) at the place of the first find is named the Icelandic spar. His crystals possess surprising ability to divide in half images because of high double refraction. 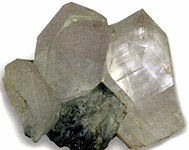 The rarest transparent Calcite is the Icelandic spar. If to look through the crystal of the Icelandic spar on an image, it divides. 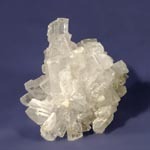 Property of birefringence inherently and to many to other minerals, but at Calcite it is expressed most strongly. 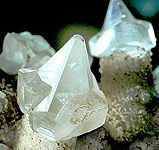 The largest in the world deposit of the Icelandic spar is in Russia, on Lower Tunguske. 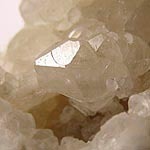 The crystals of Calcite of pyramidal form (so-called scalenohedrons) are used for meditation. 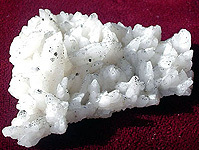 For harmonization of all of organism recommend to apply scalenohedron in a pair with the crystal of mountain crystal. 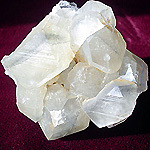 Transparent variety of Calcite is the Icelandic spar - use chakras for opening (by the urgent star of the soul). 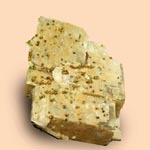 Calcite helps to manage with the enhanceable nervous loading and overcome the consequences of stress. 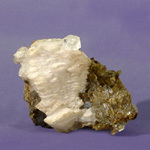 It is considered that Calcite is instrumental in economic prosperity.